Credit to the page for this song at genius.com for helping me with a few of the references. 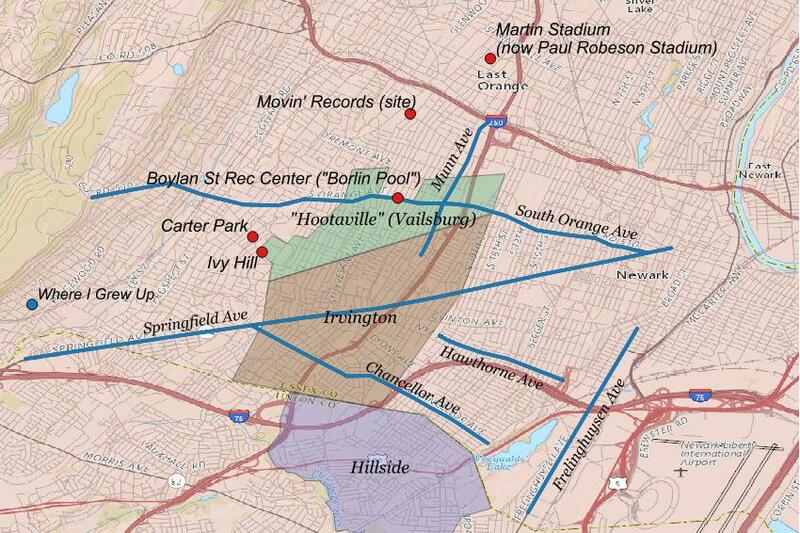 For example I didn't realize that "Hootaville" was a nickname for Vailsburg, Newark. A reference to "Main St." might be Main St. in East Orange, but I can't say for sure. I put the location of my own childhood home on the map because her youth and mine were so physically close. Our experiences were similar in some ways, but many respects, we grew up in different worlds, separated in large part by the geography of racial segregation.